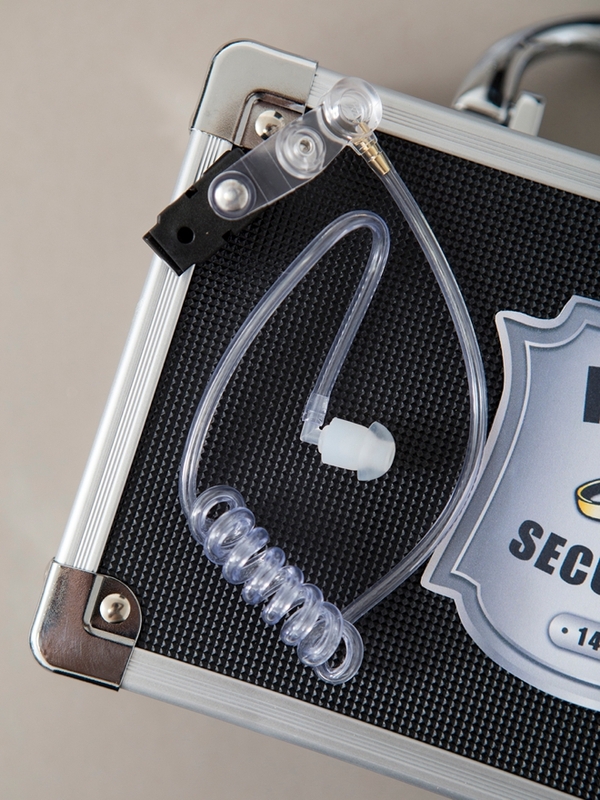 This DIY "Special Agent" Ring Security Kit Is The Cutest! 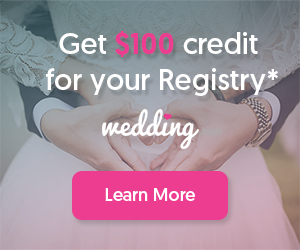 Looking for an adorable and creative idea for your ring bearer? 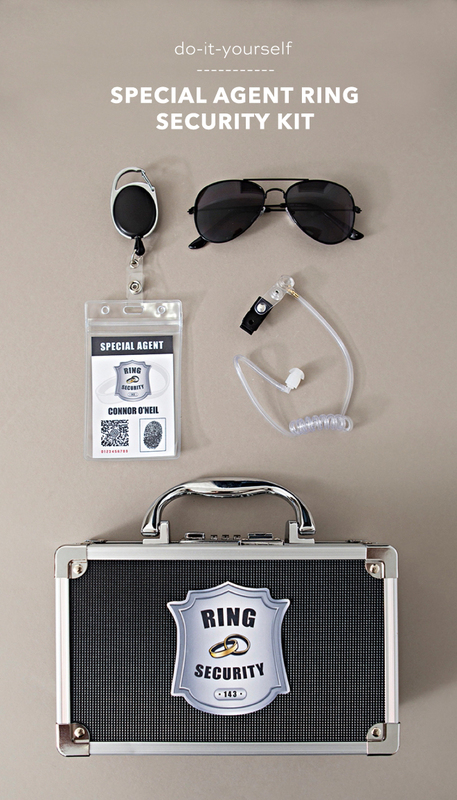 Make him feel like the most special little guy to walk the aisle with this darling “special agent” style ring security kit! 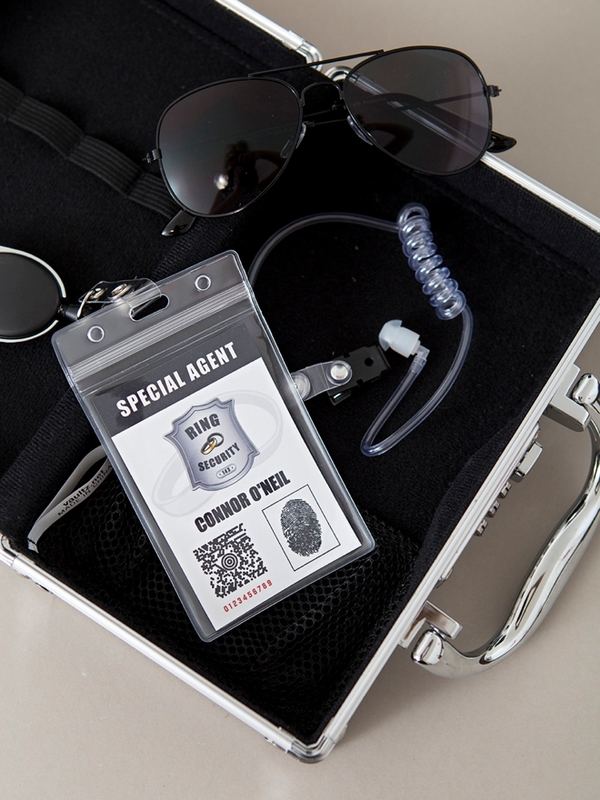 Our latest printable file design contains a logo label for the security case and an editable name badge. 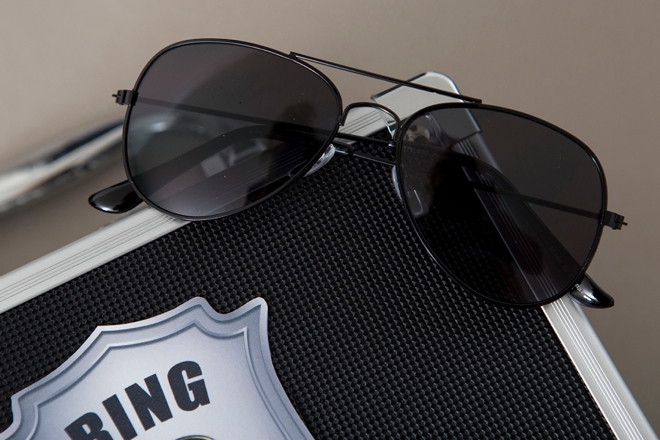 It’s your choice whether you have your ring bearer actually carry the rings or not, but this getup will surely give your guests a great laugh! 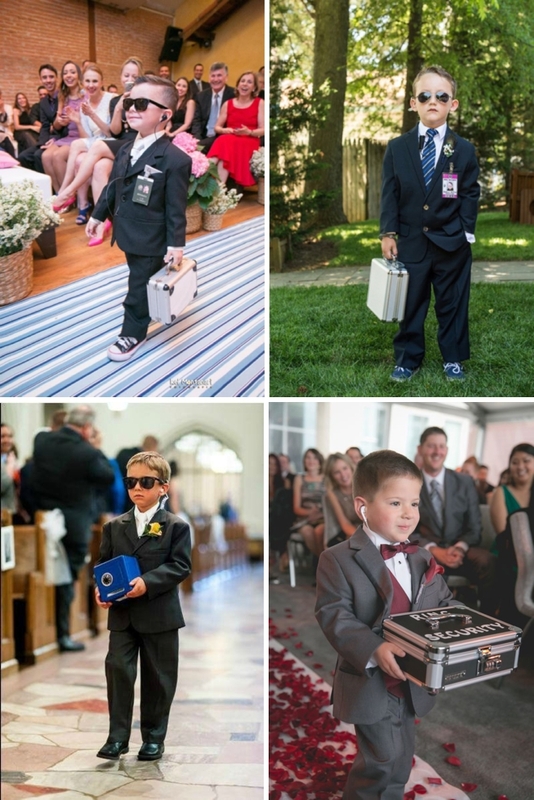 Seeing these adorable special agent style ring bearers on Pinterest were the main inspiration for this project. 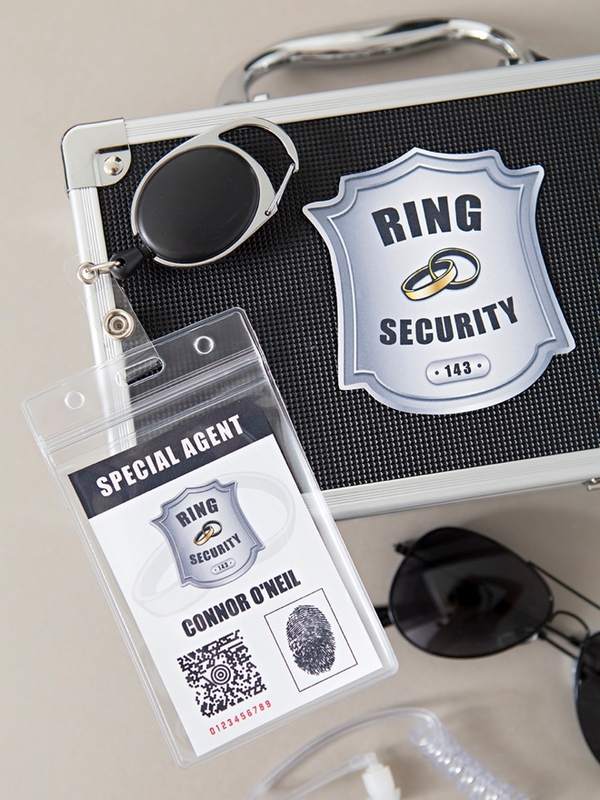 Assemble your own ring security kit using our new printable file designs so that your ring bearers can look this cute, if not cuter! 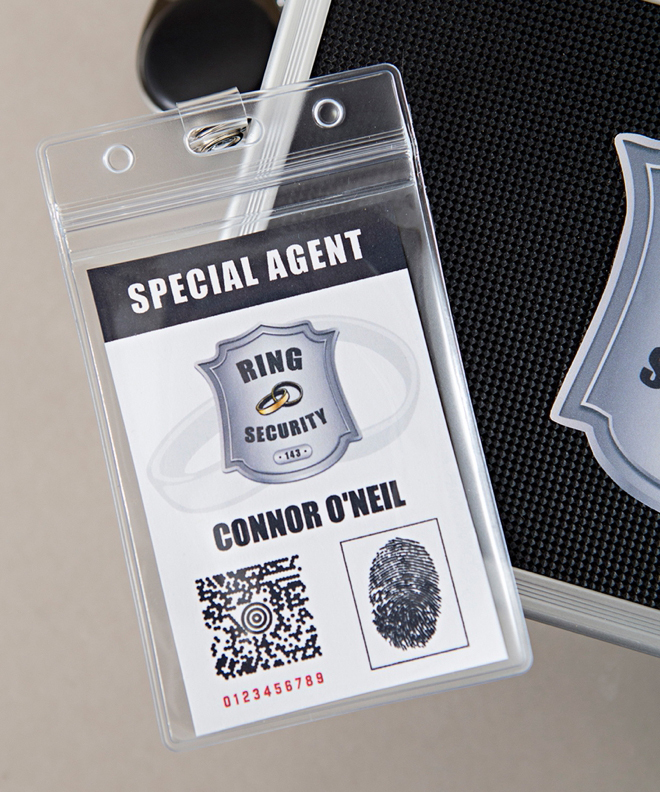 Our Ring Security Kit Badge + Case Label designs available in our Shop! 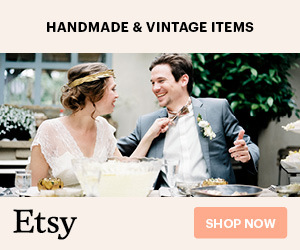 Only $1.99 for both! 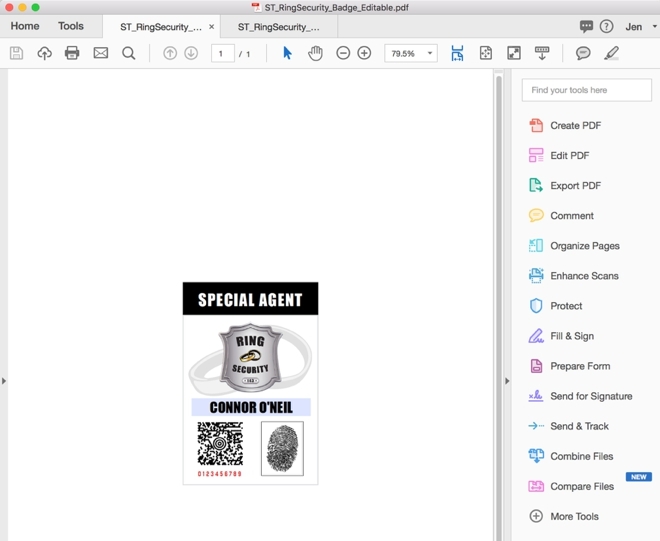 You’ll need to download either Adobe Reader or Adobe Acrobat to edit this printable file. 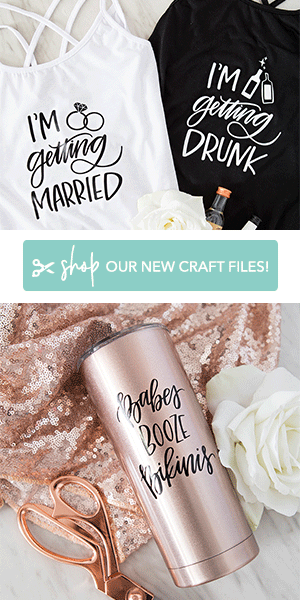 The font we used is Arial Bold. 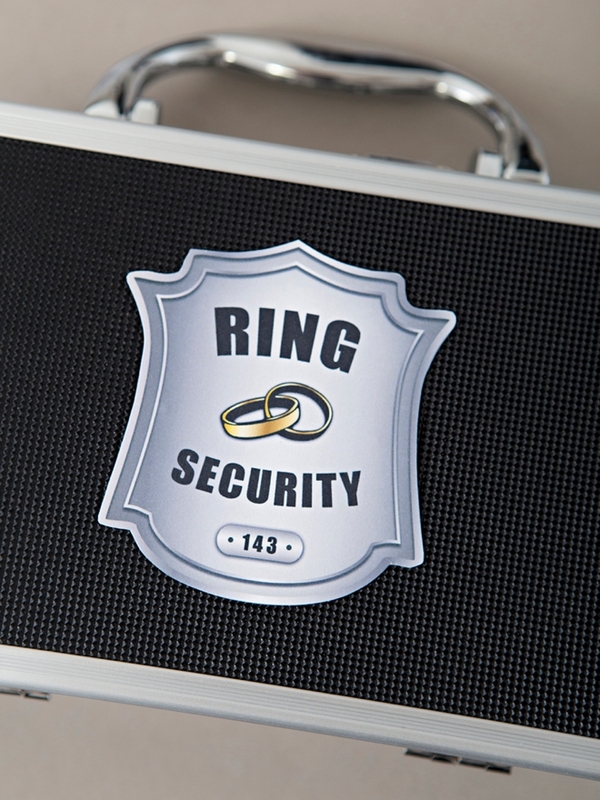 Click on the name box to add your ring bearers name and then save the file. 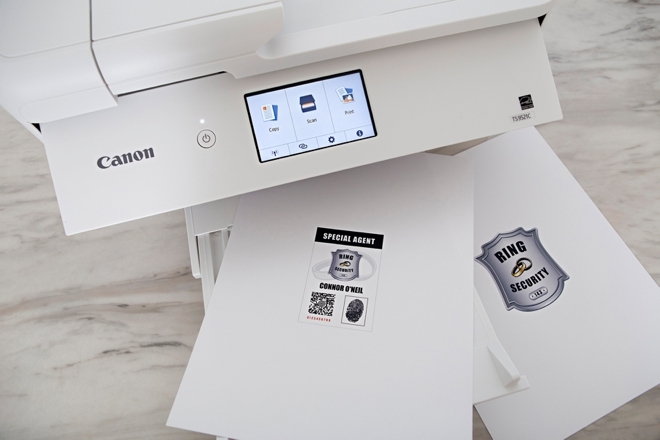 Print the two file designs onto 8.5” x 11” white cardstock using your home printer. 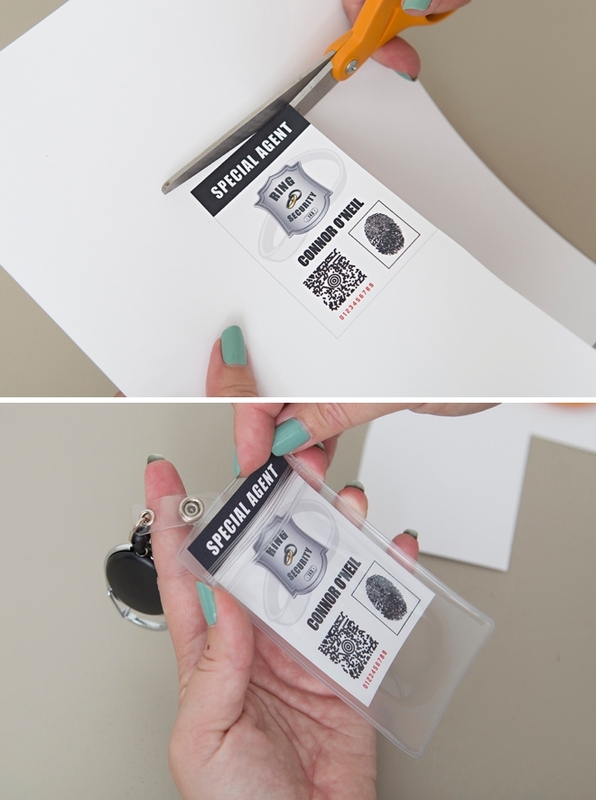 Cut out and add the personalized design to the plastic sleeve of the retractable badge. 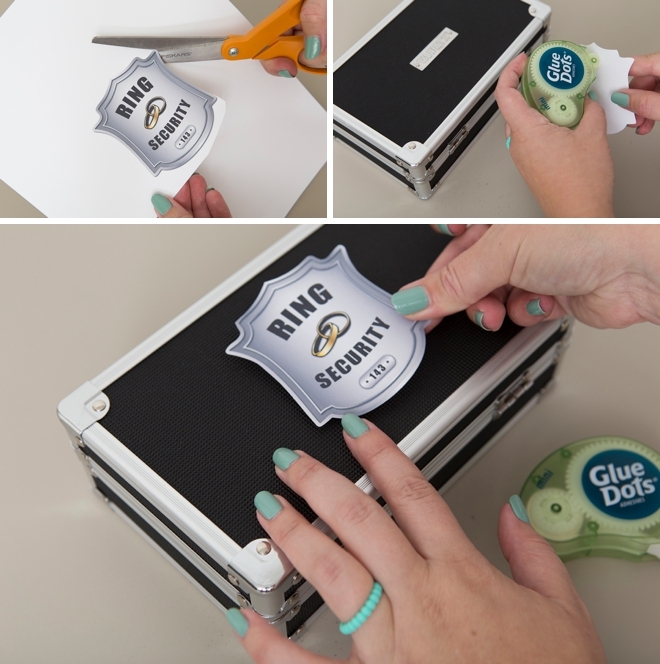 Cut out and use Glue Dots or your favorite craft adhesive to add the ring security logo to the front of the security case. 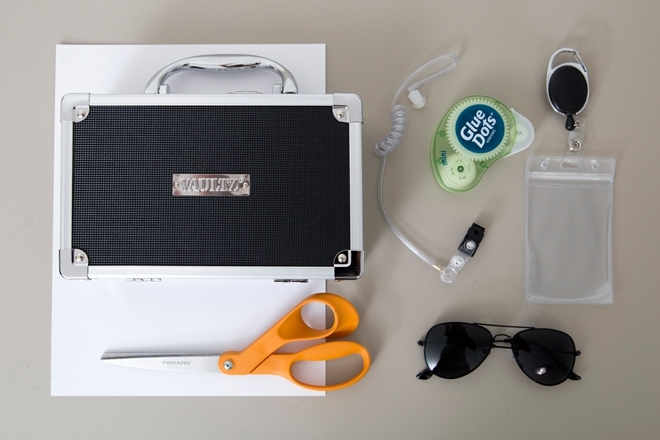 Assemble all these adorable parts and pieces for your main little man!